Unlike books currently on the market, this book attempts to satisfy two goals: combine circuits and electronics into a single, unified treatment, and establish a strong connection with the contemporary world of digital systems. It will introduce a new way of looking not only at the treatment of circuits, but also at the treatment of introductory coursework in engineering in general. Using the concept of ''abstraction,'' the book attempts to form a bridge between the world of physics and the world of large computer systems. In particular, it attempts to unify electrical engineering and computer science as the art of creating and exploiting successive abstractions to manage the complexity of building useful electrical systems. Computer systems are simply one type of electrical systems. 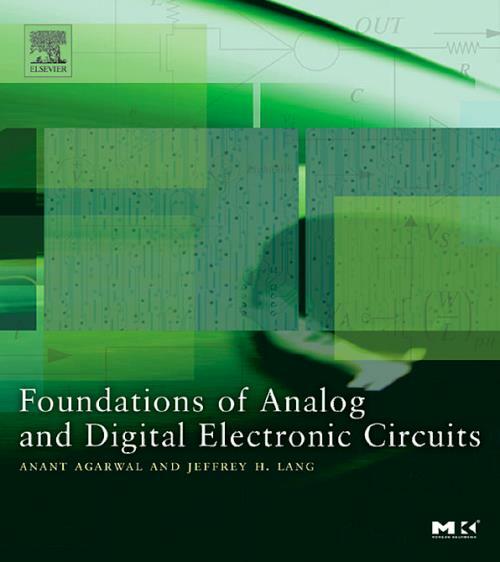 +Balances circuits theory with practical digital electronics applications. +Illustrates concepts with real devices. +Supports the popular circuits and electronics course on the MIT OpenCourse Ware from which professionals worldwide study this new approach. +Written by two educators well known for their innovative teaching and research and their collaboration with industry. +Focuses on contemporary MOS technology. Director of MIT's Computer Science and Artificial Intelligence Laboratory (CSAIL) and a professor of the Electrical Engineering and Computer Science department at MIT. His research focus is in parallel computer architectures and cloud software systems, and he is a founder of several successful startups, including Tilera, a company that produces scalable multicore processors. Prof. Agarwal won MIT's Smullin and Jamieson prizes for teaching. Professor of Electrical Engineering at MIT. He served as the Associate Director of the MIT Laboratory for Electromagnetic and Electronic Systems between 1991 and 2003, and as an Associate Editor of Sensors and Actuators between 1991 and 1994. Professor Lang's research and teaching interests focus on the analysis, design and control of electromechanical systems with an emphasis on rotating machinery, micro-scale (MEMS) sensors, actuators and energy converters, and flexible structures. Professor Lang is a Fellow of the IEEE, and a former Hertz Foundation Fellow.